Did you notice anything different on your morning commute? Were the roads slick with ice? Did you have to scrape frost on your windshield before leaving? With temperatures are starting to drop around the country, it pays to prepare before hitting the road. Here, ABRA Auto, your local automotive repair shop, gives their tips for safe winter driving. Fill Your Gas Tank: Keep at least a half a tank of gasoline in your vehicle at all times, in case you run into trouble on the road. Keep Supplies on Hand: In the same vein as the first tip, take the time to stock your vehicle with blankets, gloves, hats, jumper cables, and water. Also, make sure you fully charge your cell phone. 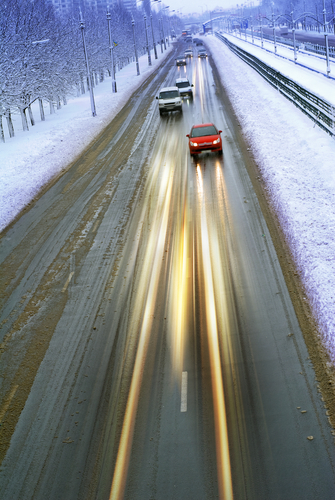 Watch Your Acceleration: Cautious driving minimizes skidding on slick roads. Check Your Brakes: Brakes can save you from auto body damage, so make sure that you keep them in top condition. While driving, make sure you have ample stopping distance. In the Case of a Collision, Call Your Local ABRA! Accidents aren’t always avoidable, especially during the winter months. If you are involved in an automotive accident, you can rely on your neighborhood ABRA Auto for expert collision repair. Visit their website today to learn more about their auto body repair services.